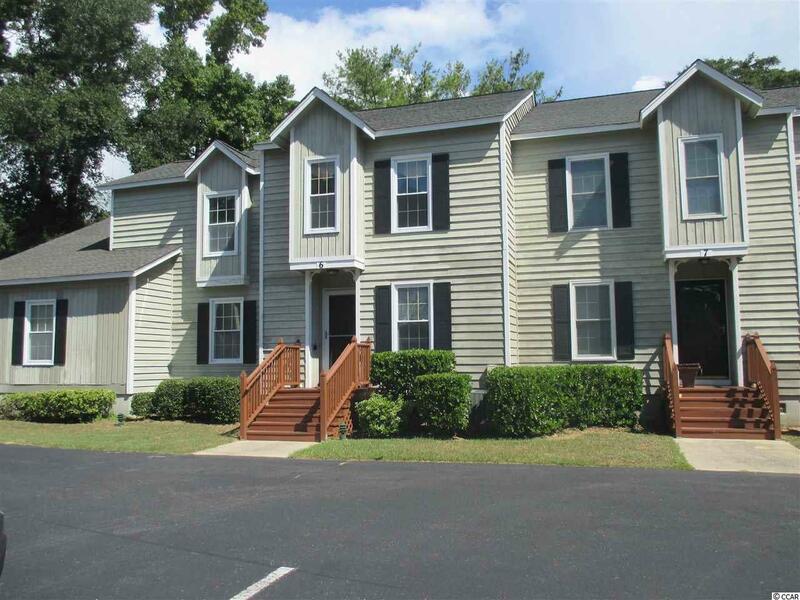 Extremely nice 2 bed/2.5 bath townhouse in the Murrells Inlet community of Moss Creek which is just minutes to the famous Marsh Walk, restaurants, shops and activities. 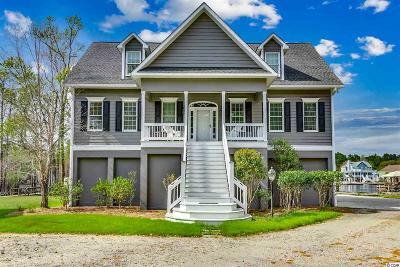 You are also close to Waccamaw Hospital, Pawleys Island shopping district along with some of the best grocery stores in the area. This home has been freshly painted from top to bottom, new laminate flooring in first flor living area and new carpeting throughout the second floor. A cheerful eat-in kitchen with full appliance package of range, newrefrigerator, over range microwave and dishwasher, ample cabinets and room for a breakfast area. There is a large formal dining room and separate living space that opens to an expanded back deck overlooking trees and plantings for peaceful relaxation. An enclosed storage space on the deck makes keeping your beach gear handy but out of sight. The second floor features a large Master Bedroom with en-suite shower bath and small screened balcony. Second bedroom has a full en-suite bath, large double closet and lots of natural light. Community has a pool, tennis courts and clubhouse right on site. The community has an excellent location for main highways, shopping, etc. while living in a quiet well-maintained community. Directions: Sc 17 By-Pass Tsouth O Murrells Inlet. Make A Left Turn Onto Marriner Drive. Moss Creek Is On The Left 1/4 Mi. On Mariner Drive. Buildng Is 2nd Building On Left Across From Club House.